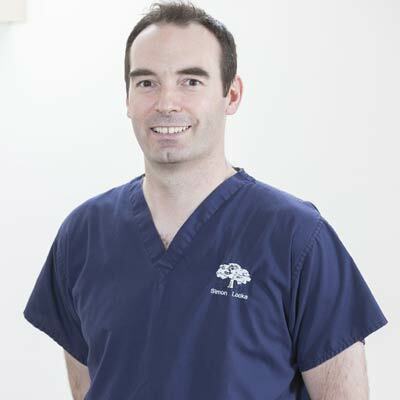 One of the very few dentists to be granted a BDS with Honours, Simon received his degree from Glasgow Dental School in 1997. He became a partner at the practice in September 2004 having previously been an associate with management responsibility in a practice in Ayrshire. 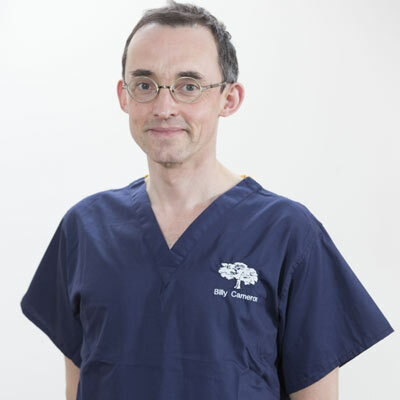 He has further training in the field of intravenous sedation, has previously taught advanced restorative techniques to newly qualified dentists and is involved in the development of a widely used clinical & practice management computer system. He is also a Dental Practice Inspector for Greater Glasgow and Clyde Health Board, regularly inspecting other dental practices for compliance with national standards. Simon also has a special interest in adult invisible braces and is a recognised Six Month Smiles, Clearguide and Quick Straight Teeth practitioner. Paul graduated from Glasgow with BDS in 1997. After two successful associateships in general practices he became a partner in April 2005. His clinical interests include endodontics and anything involved in saving teeth. Since 2008, when he received additional training to do so, he has carried out IV sedation for new and current nervous patients within the practice. Paul has also spent five years training and mentoring new graduate dentists through Vocational Training. In 2016 he was appointed to serve for a three year period on the Scottish Dental Practice Board. 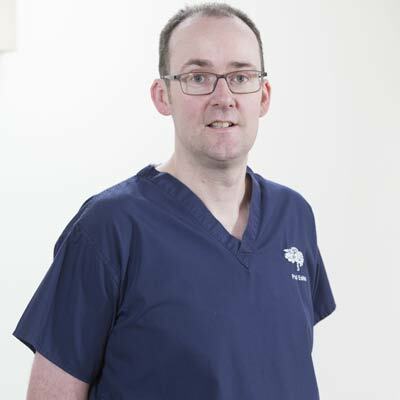 Billy graduated from Glasgow in 1991 and has since held a variety of positions in hospital and overseas voluntary sectors in addition to general practice. He received a Fellowship in Dental Surgery from the Royal College in Glasgow in 1995. His clinical interests are in prevention and dental implants. He has previously held positions as Dental Practice Adviser for Greater Glasgow and Clyde Health Board, Vocational Training Adviser with NHS Education Scotland (NES) and is currently Assistant Director responsible for Vocational Training in the West and North of Scotland for NES. Louise qualified from the University of Glasgow in 1988. She has worked for the past 20 years here at Woodside Crescent and is honoured to have shared in the lives of all her patients. 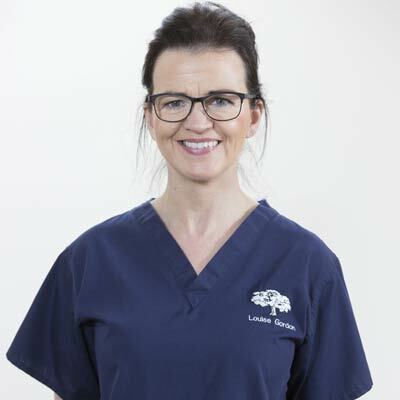 She has a friendly, reassuring manner and enjoys helping nervous patients overcome their fears, especially those who may not have attended for many years. She enjoys family dentistry and treating children with an emphasis on prevention. Louise is interested in periodontal treatment in conjunction with our excellent team of hygienists. 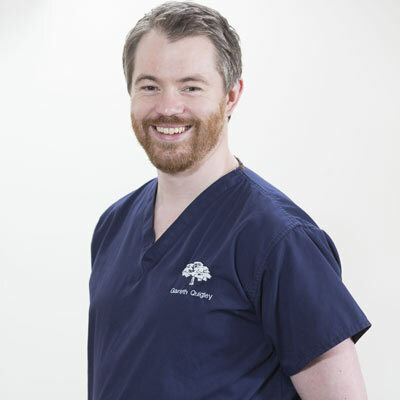 Gareth came to Glasgow from Northern Ireland in 2002 to study, graduating from Glasgow Dental School in 2007. He joined the practice as a newly graduated trainee and was delighted to be offered a full time position at the end of his training. Glasgow has since become home for him and his growing family, having just had a wee boy in May of 2016. He practices and enjoys all aspects of dentistry, but is particularly committed to NHS dentistry. The most rewarding aspect of his work is when he completes a course of treatment for someone who has not attended in years, usually because of a previous bad experience or a negative perception of dentistry. Over the years at this practice,he has had good success at helping these patients become happy, regular attenders. The General Dental Council (GDC) is the organisation which regulates dental professionals in the United Kingdom.